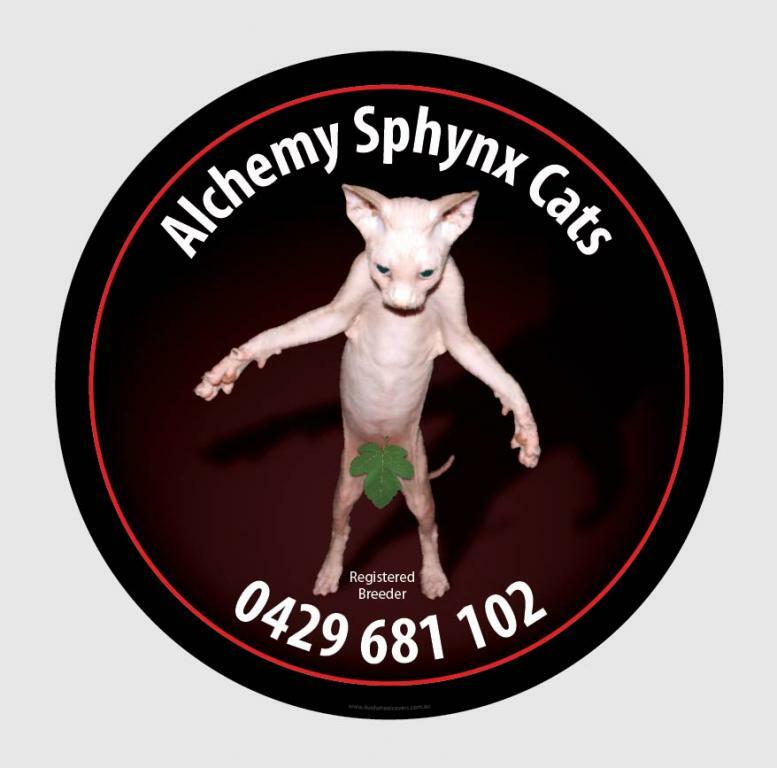 Sphynx Cats Breeder - We are able to send our cats Australia-wide. Alchemy has moved to Northern Queensland - and the cats love it! Last year I moved to Townsville for a job at James Cook University. It has worked out very well up here, so I will soon be moving into a house on a small acreage, and setting up the new cattery. The Sphynx love the warm weather. I will be building large, shady enclosures for them, that extend from the house. I have joined the Feline Association of Queensland, and thank them for the warm welcome. I will be continuing as a trainee judge in 2014, and have four 'practice' assignments to complete successfully, before I might then progress to being qualified as a 'junior' judge. I remain indebted to my former tutor, Margaret Osler (FCCV) and thank my new tutor judge for her mentorship - Dr Isobel Johnson (FCCQ). Season's Greetings to all. I am looking forward to exciting new beginnings in 2014 - may it be a wonderful year for us all. The Sphynx appears to be a hairless cat, although it is not truly hairless. The skin should have the texture of Chamois leather. It may be covered with very soft hair that is often described as peach fuzz. Because the sphynx cats have no hair to keep them warm they prefer to cuddle up against other animals and people, they even tend to cuddle up and sleep with their owners under the covers. Lack of coat makes the cat quite warm to the touch. Whiskers and eyebrows may be present, either whole or broken, or may be totally absent. Their skin is the color their fur would be, and all the usual cat marking patterns (solid, point, van, tabby, tortie, etc) may be found in Sphynx too. Hairless cats have been described in many regions of the world, but the first successful breed was the Sphynx. The earliest Sphynx was born in 1966, and the cat was named Prune. However, Prune’s line died out without descendants. In 1967, hairless kittens, and their longhaired mother cat were rescued in Brunei. The kittens were neutered; the mother, however, had other kittens. 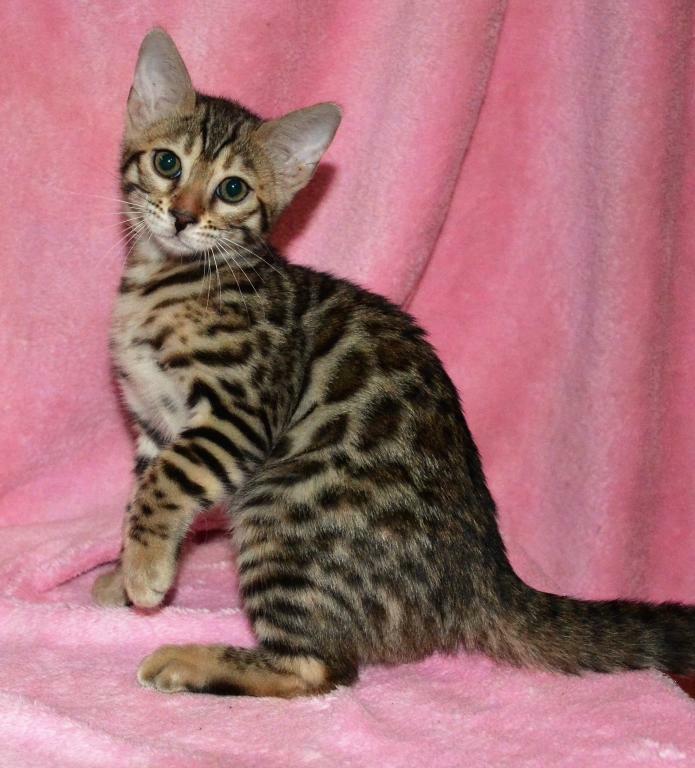 Two were exported to London, where one of the kittens was bred to a Devon Rex. The cat had hairless offspring which implied that this recessive gene was at the same locus as the Devon gene[dubious – discuss]. One, named E.T., was presented by Vicki and Peter Markstein at the Madison Square Garden cat show in the 1980s. Although there are written accounts from the 1830s of a Paraguayan "scant-haired cat", the first properly recorded hairless "breed" was the now-extinct Mexican Hairless (also called the New Mexican Hairless). In 1902, a couple from New Mexico received two hairless cats from local Pueblo Indians. It was claimed that these were the last survivors of an ancient Aztec breed of cat. This claim is, however, highly suspect since the domesticated cat did not exist in pre-columbian America. The Mexican Hairless cats were litter-mates and noted to be 25% smaller than local shorthair cats. While Sphynx cats lack a coat to shed or groom, they are not maintenance-free. Body oils, which would normally be absorbed by the hair, tend to build up on the skin. As a result, regular cleaning (usually in the form of bathing) is necessary; one bath a week is usually sufficient. Care should be taken to limit the Sphynx cat's exposure to outdoor sunlight at length, as they can develop a sunburn, similar to that of human exposure. In general, Sphynx cats should never be allowed outdoors unattended, as they have limited means to conserve body heat in colder temperatures. Their curious nature can take them into dangerous places or situations. 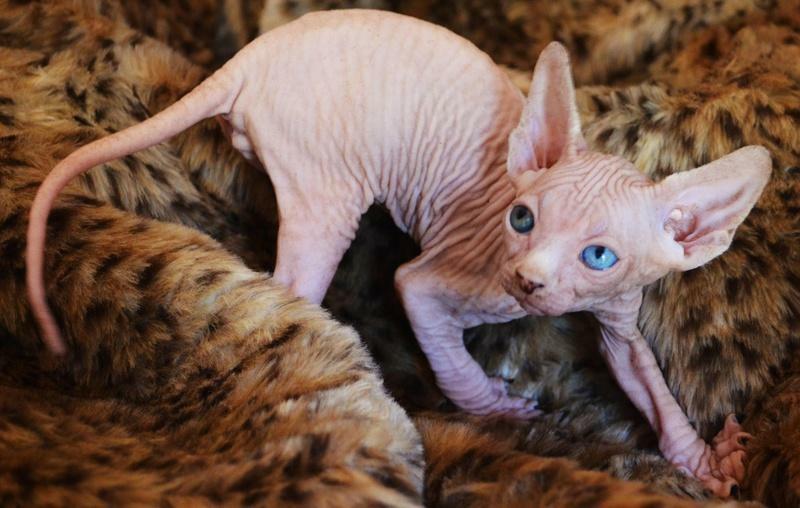 Although Sphynx cats are sometimes thought to be hypoallergenic due to their lack of coat, this is not always the case. Allergies to cats are triggered by a protein called Fel d1, not cat hair itself. Fel d1 is a tiny and sticky protein primarily found in cat saliva and sebaceous glands. Those with cat allergies may react worse to direct contact with Sphynx cats than other breeds. However, conflicting reports of some people successfully tolerating Sphynx cats also exist.